Pennsylvania Parking Lot Insurance. Owning and operating a garage may seem like a simple business, but there are many liability risks you face as an owner. When people are on your property, there are at risk of being injured. If a person gets injured on your property, you could be held liable. Having insurance is the best way for you to protect your business. What you need comprehensive insurance to protect your business from the damage of lawsuits. In this post, we'll take a look at some of the different Pennsylvania parking lot insurance policies you can get to protect your lot. Pennsylvania parking lot insurance protects your garage from lawsuits with rates as low as $77/mo. Get a fast quote and your certificate of insurance now. Commercial General Liability Insurance - Having this type of policy for your business gives you broad protection from many of the risks involved with this business. A Pennsylvania parking lot insurance covers you from many of the costs associated with lawsuits against your business. The most common claim against parking lots is 'slip-and-fall' usually after a rain or snow. Garagkeepers Liability Insurance - PA parking lots accept their customers cars for parking, and they assume a legal liability for doing do. Garagekeepers liability insurance covers this exposure. 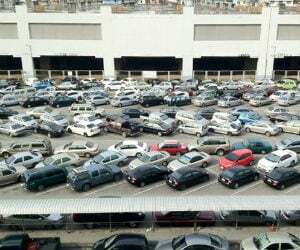 It covers the parking lot if a customer's vehicle is damaged due to their negligence while it is in their care, custody or control. Business Property Insurance - This Pennsylvania parking lot insurance policy keeps your business protected from fire, vandalism, smoke or any other event that can cause damage to your property. It also can protect the contents inside the garage and buildings you use for the operation of your parking business. Business Owners Policy - This type of Pennsylvania parking lot insurance policy is designed to fit the needs of many small businesses. It creates and affordable package for property, liability, and business interruption coverage. PA Business Auto Insurance - When your business owns vehicles, you must have insurance to protect those vehicles. Commercial auto insurance is how you protect them. With business auto insurance you protect your vehicles if they get in an accident while working for your business. Workers' Compensation - Workers comp is mandatory in most states for any non owner employees With PA workers comp, your employees get medical assistance if they are injured while working for you. Any medical cost associated with the injury is covered when you have this insurance for your business. If an employee is injured and the injury results in the death of that employee then this insurance will pay benefits to the surviving family of the victim. As an owner of a parking lot or a PA garage, you should have Pennsylvania parking lot insurance policy to protect your business from the many risks you face. Now that you have an idea of the different insurance types available it's a good time to speak with a professional insurance agent and find the right insurance for you. Request a free Pennsylvania Parking Lot insurance quote in Aliquippa, Allentown, Altoona, Ambridge, Baldwin, Beaver Falls, Bellevue, Berwick, Bethel Park, Bethlehem, Bloomsburg town, Bradford, Brentwood, Bristol, Brookhaven, Butler, Camp Hill, Canonsburg, Carbondale, Carlisle, Carnegie, Castle Shannon, Chambersburg, Chester, Coatesville, Collingdale, Columbia, Connellsville, Conshohocken, Darby, Dormont, Downingtown, Doylestown, DuBois, Dunmore, East Stroudsburg, Easton, Economy, Elizabethtown, Ellwood, Emmaus, Ephrata, Erie, Franklin Park, Gettysburg, Glenolden, Greensburg, Grove, Hanover, Harrisburg, Hatboro, Hazleton, Hermitage, Huntingdon, Indiana, Jeannette, Jefferson Hills, Johnstown, Kingston, Lancaster, Lansdale, Lansdowne, Latrobe, Lebanon, Lewistown, Lititz, Lock Haven, Lower Burrell, McKeesport, Meadville, Mechanicsburg, Middletown, Millersville, Milton, Monessen, Monroeville, Morrisville, Mount Joy, Munhall, Murrysville, Nanticoke, New Castle, New Cumberland, New Kensington, Norristown, Northampton, Oil, Old Forge, Palmyra, Perkasie, Philadelphia, Phoenixville, Pittsburgh, Pittston, Pleasant Hills, Plum, Pottstown, Pottsville, Quakertown, Reading, Ridley Park, Scranton, Shamokin, Sharon, St. Marys, State College, Sunbury, Swissvale, Tamaqua, Uniontown, Warren, Washington, Waynesboro, West Chester, West Mifflin, White Oak, Whitehall, Wilkes-Barre, Wilkinsburg, Williamsport, Wilson, Wyomissing, Yeadon, York and all other cities in PA - The Keystone State.